Currently Uber is offering $400 Uber driver signup bonus in Toronto. When someone apply through your referral code and complete 50 trips. Moreover new driver will get $400 guaranteed earning in their first 50 trips. Uber driver can obtain their referral code though Uber Driver App or from Uber website. Driver may invite friends directly through Uber app. Moreover driver can also send invitation manually. How to become Uber Driver in Toronto. Once you approved and become Uber driver you can Increase Uber Earning by learning Uber Surge Pricing, Ongoing Uber Promotions in Toronto. Any new driver that you refer to Uber and they join Uber, you will receive Uber Drive Signup Bonus. To get driver referral bonus amount, new drive must complete the required trips. Currently new driver has to complete 50 trips in order you to receive $400 referral bonus amount. Moreover, you can also earn Uber Passenger Referral Bonus if you refer new riders to Uber. You will receive $15 in referral, plus rider will also get $15 credit. Lyft is Uber's competitor in Toronto, moreover lyft is offering lot of bonuses and promotions. Lyft promotions include Lyft Driver Signup Bonus, Lyft Streak Bonus, Lyft Power Zones and Lyft Prime Time. 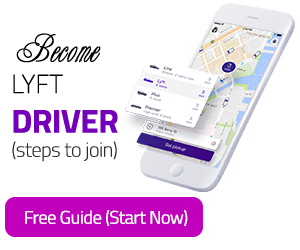 Furthermore, read Lyft How to Become Lyft Driver in Toronto and How much Lyft drivers make in Canada? Uber driver signup bonus is great way to earn money. All you need is to share your code, you can share your Uber driver referral code to social media platforms. Furthermore, you can also send invitation through text message in Uber driver app. Earlier it was $300 Uber driver signup bonus in Toronto and $50 bonus for new driver. Recently Uber changed it to $400 for referrer and $400 guaranteed earning for new driver. You can also create you own link and share or send where it necessary. When you signup with referral code your earning will be guaranteed. If you sign up with driver referral code in Toronto GTA, Uber will make sure that you earn $400 in first 50 trips. If you earn less Uber will pay you they difference. For instance, you earn only $200 in your first 50 trips within 90 days, so you will get $200 bonus from Uber and so on.